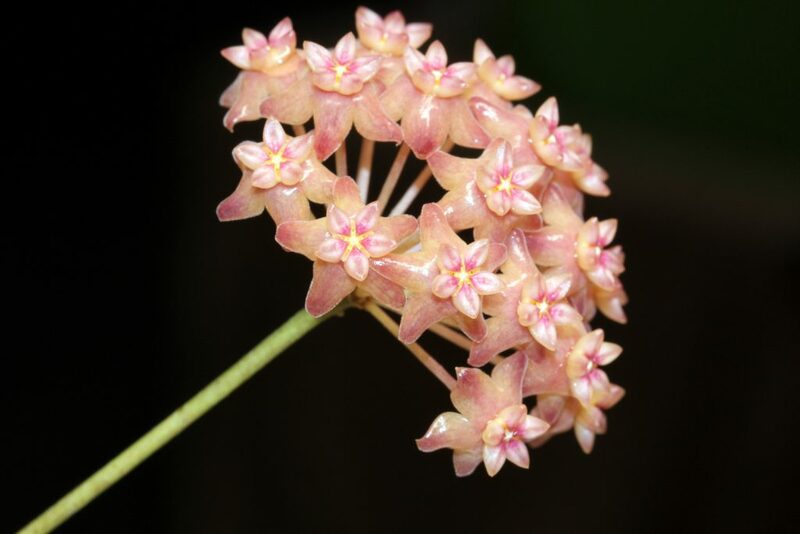 Depending on the conditions under which it is grown, Hoya fitchii blooms can show wide variations in color. They can vary from shades of yellows and oranges to pearlescent pinks such as mine. This entry was posted in Hoyas on December 12, 2016 by Doug.